Darwin, NT (6 October 2017) – A 60% surge in the number of groups at weekend open for inspections is a strong indicator the Darwin real estate market is set to surge. “Compared to 12 months ago we have double and even triple the number of groups at each open home on a Saturday,” said Glenn Grantham, General Manager, Raine & Horne Darwin. “Around 75% of buyers are savvy locals, who have been at our open homes regularly over the last 6 months. A local buyer, for example, has snapped up a spacious, well-presented 4-bedroom house with a pool at 15 Hodgson Drive Leanyer for $533,000. “The buyer has secured a great deal for a property that would have been worth significantly more at the peak of the market a few years ago,” said Mr Grantham. On the supply side, Mr Grantham confirmed there are 1,500 properties for sale in Darwin and Palmerston. “However, we only need 1,000 investors from around Australia looking to take advantage of our real estate affordability and robust yields that are better than anywhere else in Australia,” he said. “If we could grab 300 investors from NSW, 200 each from Victoria and Queensland, and 100 buyers from Perth, Adelaide and Canberra to our market, we’d quickly see listings dry up and values start to head north. Longer-term the economic outlook for Darwin is promising and should flow through to the city’s property markets. “There is talk of another big oil and gas project on the way, while the ongoing troubles on the Korean Peninsula mean that an additional influx of US troops into the Darwin rental market isn’t out of the question,” said Mr Grantham. Whether you are buying, selling or leasing a property in Darwin or Palmerston, contact Raine & Horne Darwin on (08) 8941 8941. Darwin, NT (27 April 2017) With property values starting to improve, astute empty nesters in Darwin are realising that now is the perfect time to downgrade from a superfluous family home into a modern apartment, according to Glenn Grantham, General Manager of Raine & Horne Darwin. “Some Darwin retirees have recognised the challenges faced by empty nesters in the southern states, where spiralling real estate values and charges such as stamp duty make it difficult to downsize from larger properties into more appropriate housing,” said Mr Grantham. Retirees living in larger properties in Darwin’s desirable northern suburbs are starting to enquire about downsizing to apartments in the CBD, according to Mr Grantham. “One retiree has decided to move to take advantage of lower apartment prices in the Darwin CBD,” he said. At the peak of the market in 2011, similar apartments in Darwin were valued at $1 million. “At the same time, property values in the northern suburbs have held their ground, so the empty nester is confident that she’ll be left with a decent financial nest egg when she completes the move from a bigger house to an apartment. Apart from the financial aspects, Mr Grantham said downsizing into modern apartments such as 9014/ 27 Wood Street, Darwin[i] affords lifestyle advantages. The apartment is on the market for an affordable $689,000. “Many CBD apartments offer plenty of floor space that enables retirees to accommodate grandchildren and other family members when required,” said Mr Grantham. “For those retirees looking to spend more time travelling, the lock and leave benefits is another attraction of downsizing into a secure Darwin CBD apartment. Demand for Darwin Rentals returning to all time highs. Darwin, NT (21 March 2017) Demand for Darwin rental properties is booming, with leading property specialist, Raine & Horne Darwin finalising leases on more than 60 properties in February. “This result follows 60 properties we leased to tenants in January,” said Glenn Grantham, General Manager, Raine & Horne Darwin. The Darwin rental market is still above the 2% vacancy rate sweet spot achieved a few years ago, with vacancies running at more than 7%. “That said, the vacancy rate for properties managed by Raine & Horne Darwin is only 4%, which is well below the city’s average,” said Mr Grantham. Rental days-on-market have fallen to an average of about 32 days in Darwin, according to Mr Grantham. “Vacancies are headed in the right direction, which is a good sign, however its means investors shouldn’t be complacent about pricing and presentation,” said Mr Grantham. For first home buyers seeking to exit the rental treadmill, Raine & Horne Darwin recently held the launch of the Zuccoli Aspire display village. “There are 22 homes in the village making it the biggest display ever in the Northern Territory,” said Mr Grantham. “We had 1,500 people visit the display village on Saturday 11 March, which was very impressive. “Most of the interested parties were first home buyers and they visited the village to inspect the offerings of the 18 builders involved in the project, and to learn more about the land lots available at Zuccoli Aspire, which are selling for as cheaply as $135,000. Darwin, NT (27 February 2017) After two consecutive quarters of strong sales activity, Darwin prices are set to head north, according to Glenn Grantham, General Manager, Raine & Horne Darwin. “There was a bounce in buyer activity in the second half of 2016, which is contributing to a boost in the prices of quality, well-located properties in Darwin’s northern suburbs,” said Mr Grantham. Desirable houses in Jingili, Karama and Anula, are attracting 30-40 groups to open homes, with many selling within 3 weeks of reaching the market, according to Mr Grantham. “Historically when values in the northern suburbs improve, this creates a ripple effect that eventually flow south to Palmerston,” he said. Mr Grantham said that while values in Darwin’s north will rise in the medium term, vendors with properties in the city and the south must be patient. “Regardless of where you live, to cash-in on current market activity, a property must be well-presented and priced sensibly to sell,” said Mr Grantham. Other hurdles to a swift sale might include rental properties with long-term tenants, which are not realising competitive yields. “A Darwin property generating a gross yield of less than 4% will be harder to shift in the shorter-term,” said Mr Grantham. Owner-occupiers continue to dominate the Darwin market, although Mr Grantham said that interstate investors are increasingly among the buyers. “We had a Sydney investor who wants to use his self-managed fund (SMSF) to buy a property worth $470,000 which will rent for $475 a week. This is a stronger return than Sydney real estate, or other asset classes such as cash and fixed interest,” he said. Underlining the improving strength of Darwin rental market, Raine & Horne Darwin has leased 100 properties already in 2016. 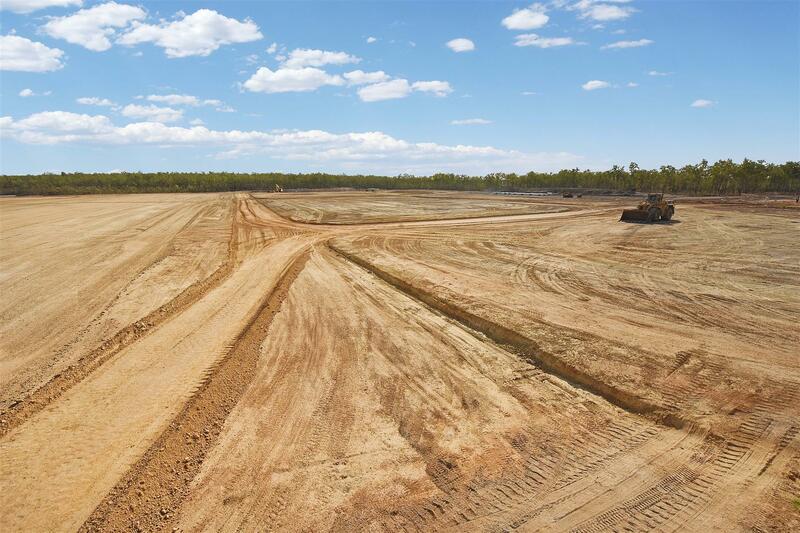 “This works out at roughly 2 a day, and we have strong demand from trades people, public and private sector workers moving to Darwin now for work,” said Mr Grantham. There are several planned and committed infrastructure projects set to begin in Darwin including the $500 million upgrade of HMAS Coonawarra and Larrakeyah Barracks, and the $250 million Darwin Luxury Hotel development[i]. Residential Land available to Darwin Homebuyers from $117 000! This is without doubt the biggest news to hit the Darwin Residential Property Market in at least the last decade and potentially the last 40 years! The attached video features the Developer and Sales Agents – Raine & Horne Darwin who will commence public release of Stage 1 of Zuccoli Aspire comprising almost 200 blocks on the 20th June. These properties will provide the opportunity for homebuyers and investors alike to purchase the best value land in any Australian Capital City. Contact Adam McCann on 0499 558 842 to ensure that you have an appointment to purchase.